September 12, 2018 /0 Comments/in For Educators, For Individuals /by Jelena J.
Mindfulness is a concept that is becoming more and more popular by the day, and with good reason: the list of benefits from practicing mindfulness is endless! With that being said, what we do not see as often is mindfulness in the context of helping children with ADHD (Attentional Deficit Hyperactivity Disorder) or ASD (Autism Spectrum Disorder). This is why we decided to dedicate an entire article to it. You might find yourself amazed at the benefits of specific mindfulness practices for children with ADHD/ASD – and their parents. It will come as no surprise that both ADHD and ASD pose a great challenge for parents, which is why they tend to be much more stressed than parents not dealing with these . ADHD means that the child will have trouble focusing their attention on a certain task. Moreover, their behavior will often be impulsive, and their daily life may be characterized by an overall hyperactivity . This may lead to parents becoming less patient and more impulsive in reacting to their child’s behavior. This is often referred to as “parental overreactivity” . Another troubling thing that parents of children with ADHD often fall prey to is inconsistent parenting. They might treat kids one way when they’re rested and feeling patient, but once they become tired and frustrated, the same parent will pivot 180 degrees and behave in exactly the opposite manner. And while ADHD is highly controlled by genes, certain experiences can increase a child’s susceptibility to it – inconsistent parenting being one of them . What is more, parental stress often leads to the child’s externalizing behavior (showing more and more symptoms), which in turn, leads to even greater parental stress . It’s a vicious cycle that, luckily, can be cut short by practicing mindfulness. A lot of the points mentioned in relation to ADHD and parenting can also apply to ASD and parenting. The stress parents feel (especially mothers, studies show) is enormous, and it’s heightened when the child is exhibiting symptoms . With ASD, behavior is also the issue. It can be impulsive, but more often it’s repetitive and restrictive . This and the fact that these kids struggle in social situations is enough to make their daily lives very difficult. Besides stress, parents of children with ASD also tend to show signs of overreactivity, much like parents dealing with ADHD. ASD and ADHD share some similar symptoms in children, but almost the same symptoms in parents, which is why we decided to discuss both in this article. So what is it in mindfulness that connects these two and can help children regardless of their specific behaviors? Well, when it comes to ADHD, the issue is that executive function and the ability to focus on something for a prolonged period of time are affected. On the other hand, a child with ASD may feel attacked by sensory input and will have trouble distracting themselves from it. As you can notice, the common trait is focus – either too little or too much of it. 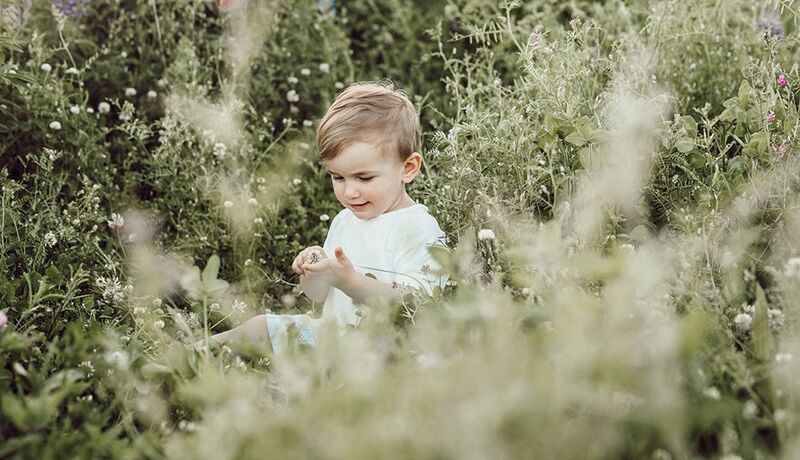 Mindfulness can help a child with ASD practice seeing negative sensory input as something neutral, and to accept thoughts, smells, or sounds as they come, without holding onto them. Specific mindfulness practices for ASD also offer an opportunity to find an anchor, and it’s best if that anchor is a neutral part of their body. It’s often the soles of their feet, which is how one of the techniques got its name. By using this or similar techniques, the child can try to disregard the negative sensations and focus on the neutral ones (anchor themselves in the present moment) . And when the distraction comes, instead of feeling guilty and holding onto it, they can accept it non-judgmentally, as something transitory. This will allow them to re-focus their attention on the anchor . When it comes to practicing mindfulness, it’s highly recommended that you practice these techniques together with your children. That way, you can help your child feel less alone and you yourself can begin to understand the techniques better. Studies have shown that mindful meditation can also help parents significantly when it comes to feeling stressed, showing their own impulsive behavior (usually that of overreactivity), and even with some of their own ADHD symptoms . All in all, we believe that a calm parent is better able to calm their child. When doing this exercise, take a stroll around your house or around the park with your child . This is more or less a “stop and smell the roses” kind of practice. You should stop often to notice different things around you. Stop next to some fallen leaves and tell your child to slowly step on them and feel and hear the crunchiness. Smell the flowers you see along the way. Start noticing the creases of your house’s outer walls and touch them slowly, or count all the apples on a tree. You can’t go wrong with this one, as long as you guide them to pay close attention to something and use their senses, such as touch or smell – the more senses, the better . A Yoga Deck is a deck of cards that contain different yoga poses . You shuffle them, pick a card, and then try doing the poses together. Make sure to deepen and slow down your breathing . Try to focus on the way your muscles feel. If you don’t want to buy a deck, you can always find some interesting (and not too difficult!) poses on the internet and practice those. Have fun! This is an exercise that you can do daily. All these exercises work best if done daily, but we know that not everyone will have the time for that, giving our busy lives. But this one might be doable. Give your child some raisins, for example, or anything with an interesting texture. Ask them to eat the raisins one by one, slowly, and describe to you the creases, what kind of taste and feel they have. You can do this with any type of food as long as you inspire them to eat the food slowly and pay attention to each bite. Finally, you can give them a pen and paper and tell them to describe their favorite place. Encourage them to be as detailed as possible. Which colors can you see there? How does it smell? What kind of sounds can be heard? This will help them keep their attention on one thing and use all of their senses to focus on it. You can also try this one out with every new place you visit together. While they’re reading their description to you, you should close your eyes, take deep breaths, and take a tour inside your child’s favorite place. This practice is part of the “guided meditation scripts”, so let your child’s descriptions guide you through what you’re imagining. After they read it to you, you can revise it and maybe rewrite it together, so they can add even more details. You can take turns with this exercise: describe your favorite place next! Now they can be the one breathing deeply and letting you guide them through your imagination! This is a great exercise for when your child is feeling stressed out and overwhelmed by sounds, smells, or any other sensory input . When that happens, you can encourage them to pay attention and “move their energy” to a neutral part of their body – like the soles of their feet . Tell them to really feel their soles, to think about how they feel in their shoes or on the carpet. They can wiggle their toes and start walking and noticing different sensations. Are they walking on grass or tiles? How does each of those feel? How are they different? You can even tell them to choose their favorite sensation and remember it specifically. That way, they can revisit it in their mind the next time they feel overwhelmed by their environment. A listening exercise such as this one is a powerful way of connecting to the present moment. Ring a bell (if you don’t have one, you can use an app) and tell them to listen to and feel the vibrations of it. They should raise their hand once they can’t hear the ringing anymore. After that, they can start noticing other sounds for a minute and tell you what it is they can hear . Much like with Mindful Eating, you can do this one regularly. Once your child is lying down in their bed, tell them to pay attention to their body, starting with their toes . They should stretch them as much as they can, then ease them back (Progressive Muscle Relaxation). Alternatively, tell them to imagine that their legs are made of iron and sinking into the sheets. They start with one leg, then the other, then both, and they keep on doing that all the way up to their forehead. This is a great way to both connect to the body and relax before going to sleep. This is another exercise (next to Soles of the Feet) that can help your child calm down if they’re feeling stressed . Shake the snow globe and tell them to pay attention to the snowflakes falling down and reaching the ground . This will help them turn their attention to something beautiful instead of remaining stressed out. And since it takes a lot of time for the snow to drift down completely, it will give them plenty of time to calm down. If you don’t happen to have a snow globe or if you just prefer something else, you can try using glitter wands or even try making your own glitter jar! That will give your child the additional sense of power. They will be bringing something beautiful to life, so the next time they feel stressed out they can use their very own creation to calm down. Did you find this article helpful? If you would like to read more about similar topics, visit our Articles page!